Afri is delighted that Donal O’Kelly’s radio adaptation of his award-winning show Fionnuala, produced by the Norwegian state broadcaster NRK in Norwegian, made the shortlist of five for the famous Prix Italia in Radio Drama, whittled down from an original 35 productions. Next week, Fionnuala competes as NRK’s nominated entry in the Radio Fiction category at the Prix Europa in Berlin with results to be announced on Friday 21st October. On that night, October 21st, the production will be played, with dialogue in English projected on a screen, in Glenamoy Parish Hall, Erris Co. Mayo starting at 8pm sharp, duration one hour. Doors 7.30pm. Afri is proud to host this event in Glenamoy Hall, where the first reading of Fionnuala took place during the Afri Hedge School in August 2012. News from Berlin will be communicated as it happens and refreshments will be provided. 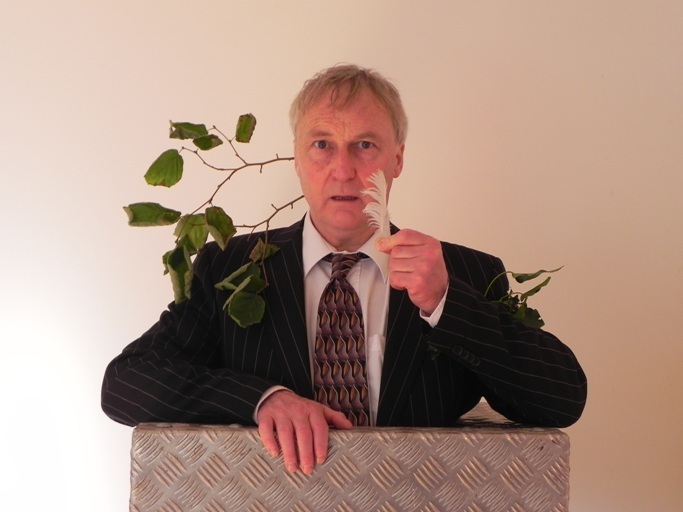 Donal O’Kelly’s live solo show about the Shell/Statoil gas project in Mayo won a Scotsman Fringe First award in Edinburgh, and has been performed all over Ireland, as well as Edinburgh, Geneva, Oslo and Rapid City, South Dakota. Ambrose Keogh is a PR executive for the Shell/Statoil gas project in Mayo. When the Tunnel Boring Machine he named Fionnuala sinks into the bog, he is magically confronted in a fairy ring by Fionnuala, the swan-woman from the ancient legend The Children of Lir. Fionnuala puts a geas (spell) on him – he’s bound to tell the truth about mysterious attacks on opponents of the gas project. During his ordeal, Ambrose comes face to face with his school classmate Malachy, and echoes from the past resound.